Combining the best of two of our most popular Italian cycling trips, this itinerary offers the unique challenge of riding right across Italy from the Adriatic to the Tyrrhenian sea. Expect a rewarding point-to-point ride every day through some of Italy’s most picturesque scenery on quiet and unspoilt routes. Starting from the Apullian town of Monopoli, we cross Italy from east to west and venture into the heart of the Baslicata and Campania regions. The itinerary includes time in the iconic UNESCO city of Matera, as well as other jewels like Padula and Castelmezzano, a mountain village perched on the so-called 'Dolomites of the south'. Our journey ends with a fantastic ride along the world-famous Amalfi Coast all the way to Sorrento. All breakfasts and 4 dinners included. A typical hotel breakfast consists of: toast/bread with jam,or honey, cereal, cheese and ham, served with coffee, tea, milk, orange juice, fruit, cake and yoghurt. Lunches are normally arranged as picnics or taken in small cafes' along the route. A total of 4 dinners are included on this trip and they normally consist of a 3-course menu with a choice of regional specialities. Vegetarians and people with special dietary requirements will be catered for but please inform us of your requests prior travel. Fly to Bari and transfer to the picturesque coastal town of Monopoli. Depending on the group arrival, there might be time for a relaxing stroll through the town's narrow alleys along the sea shore. We strongly recommend arriving a day or two early to visit some of the other region's jewels including the UNESCO Alberobello or Polignano. Today we start cycling from the coast and go inland, heading for one of the most fascinating cities of southern Italy, Matera. A first warm-up climb brings us onto a large rolling plateau, where we will be pedalling through fields of fennel and ancient olive groves. We pass several nice small Apullian villages along the route, where we stop to regroup, take a coffee or simply for a rest. 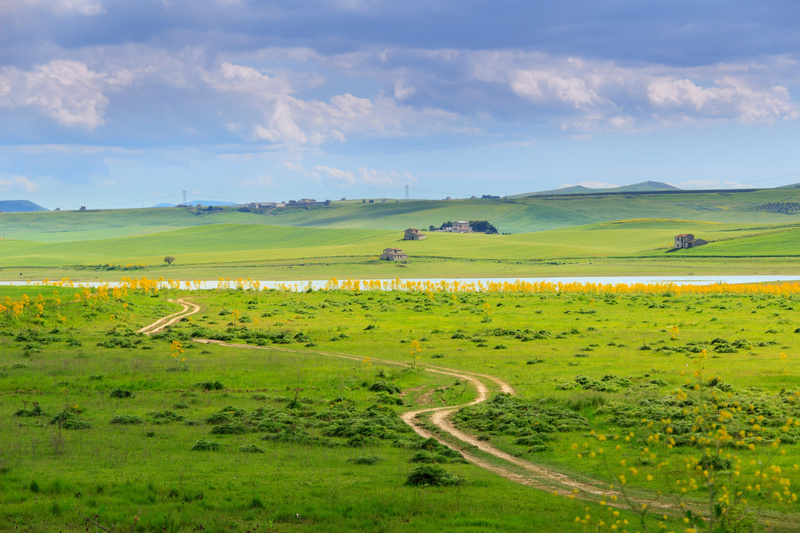 As we cross into the region of Basilicata for the last part of the route, we cycle through open fields and partly along the Appia Antica, the ancient Roman Road. We should reach the UNESCO listed town of Matera in the afternoon with some time for a relaxing stroll in the historic ‘Sassi’ district and for an Italian 'aperitivo' in one of the beautiful squares. You are free to choose from the wide selection of restaurants and pizzerias for your evening meal however the leader may suggest a group meal for those interested. Today will be our longest ride but the destination will be more than worth the effort! We start with an easy downhill section through the fields, towards the Lake of St. Giuliano. We then follow an old road along a ridge, encountering a number of beautiful historic villages, like Tricarico, an old Byzantine capital and Grassano, before arriving in sight of the stunning Lucan Dolomites as known as the 'Dolomites of the South'. We make a great downhill ride just before having to gather some strength for the challenging but rewarding steep climb up to the beautiful village of Castelmezzano, clinged to the mountains' sandstone rocks. The support vehicle will be availble for those who prefer to skip this last ascent. Castelmezzano, rated as one of the prettiest villages in Italy, is very remote and set in a breathtaking location with stunning mountain views - a perfect quiet retreat after today's long ride. A short walk through the village and up to the Norman steps is a must, before we enjoy a delicious hoemade meal at our hotel's restaurant. Overnight in Castelmezzano. Today we are heading west into the Campania region. In the morning we cross the National Park of the Basilicata Apennines, a sparsely populated wilderness area featuring stunning mountain scenery and pleasant villages where time seems to have stood still. Towards the end of the afternoon, after a last challenging climb, we’ll reach the top of the ridge between Basilicata and the Campania region. From here we will be cycling all the way down into the Vallo di Diano, a fertile highplain with several beautiful medieval towns. We settle in Padula, a nice medieval town famous for its ‘Certosa’, the largest monastery in Italy. Today's ride is relatively short, thus allowing for a late start. We recommend paying a morning visit to the nearby Padula Charterhouse, the largest monastery in Italy and UNESCO heritage site. 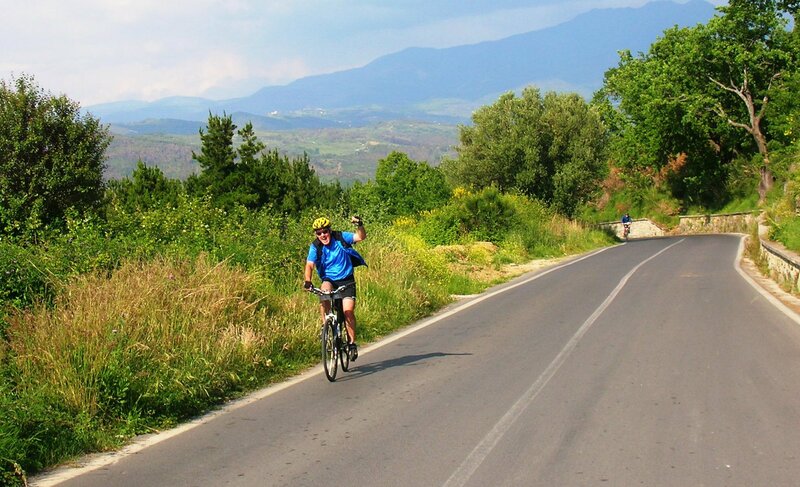 We get on our bikes just before lunch and cycle into the heart of the Cilento National Park. First we follow a nice, mainly flat, route through the Vallo di Diano and continue with a climb up the beautiful ‘Sentinella’ pass (932m), which winds up high above the plain. The last part of the route involves a nice descent into the Cilento National Park, where we settle in homely agriturismo with pool. Tonight we dine on great local specialties prepared with organic produce. Today we ride a great route in the shadow of the Alburni Mountains making our way down to the Tyrrhenian Sea. Early in the afternoon we’ll arrive at the fantastic Greek Temples of Paestum. Our hotel is just a few hundred meters from here so we have the time to visit the impressive archaeological site. Alternatively, you could opt to relax at the swimming pool. The sea is only a few minutes away by bike so those who whish can also enjoy a refreshing late afternoon swim. Tonight we’ll eat on the premises of the hotel. We start the day with an early train ride to Salerno. Here we get on our bikes and begin our final ride along one of the most beautiful stretches of coastline in Italy: the stunning Amalfi Coast. After a short climb up to Vietri, we follow the undulating coastal route to Cetara and continue uphill to the dramatic viewpoint of Capo d’Orso. We then head towards Amalfi itself, where we have time for a short stop and stroll. In the afternoon we ride past Positano, and cross the ridge to then wind down to the nice resort town of Sorrento. Here we can toast to our accomplishment, perhaps with a drink or two down at the beach and a dive into the Bay of Naples, in sight of Mt. Vesuvius. Those who wish can opt for a stroll in the historic centre, or perhaps just a few hours of relaxation. In the evening we all gather together for a last great evening meal (optional). A really well-run trip which goes through beautiful Italian countryside and visits spectacular towns and villages along the way. 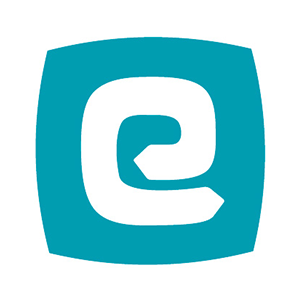 This is a new trip for Exodus , going from from Polignano ,on the East of Italy ,across the Cilento and Vallo di Diano National Park ,up the Amalfi coast to Sorrento . The scenery changes every day and it was a well thought out route along mostly quiet roads . I was glad I had not taken my bike as some of the Italian roads were rough, and the bikes that were provided as part of the trip were well chosen for this route . The group was led by Paolo and the mechanic was Raphael and they were both just wonderful and so well organised. Paolo has a real passion for cycling and takes a huge amount of pleasure in showing people his lovely country .We got to see some iconic sites as part of the trip. I forgot to bring my Garmin mount for the bike and I happened to mention it to Raphael and the second day one magically appeared on the handlebars of my bike! Nothing was too much effort. The trip ran without a hitch from start to finish. The accommodation was basic but good and food was plentiful and catered for a vegan in our group and me who is vegetarian ,with no problem. The grade is challenging and I would say that this was a fair assessment of the trip. You need to be good at hills on this trip as there are several long steep passes to go over and some sections are on a gradient of 10 and 12 %, so make sure you are hill ready before you go! I extended my trip by 3 days and I was so glad I had . I went to Capri, Pompeii and Mount Vesuvius and spent one day mouching around Sorrento . This is my second trip with exodus and it wont be my last! This is a great trip to do for those of reasonable fitness and those who enjoy a challenge, magnificent scenery and eating lots of delicious food. 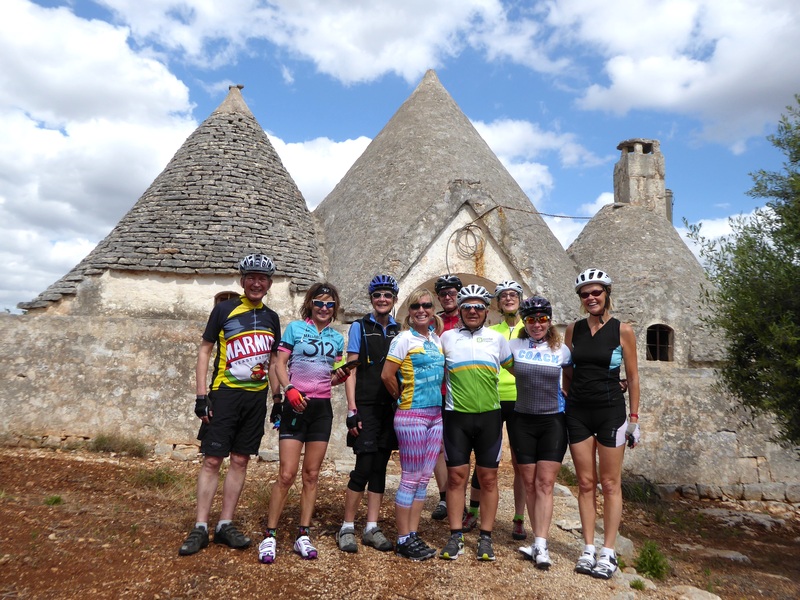 This is a challenging ride but it is a fantastic way to see and experience Southern Italy in the company of a great and knowledgeable guide. Meals: 7 breakfasts, 0 lunches, 4 dinners.